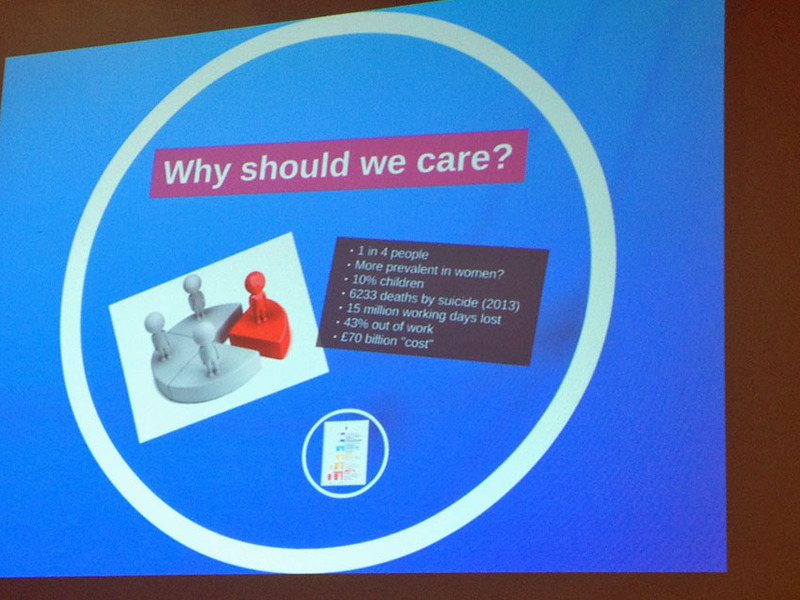 Sarah also shared some shocking figures. Did you know that 1 in 4 people suffer from mental health issues during their lifetime? Or that 15 million working days are lost to mental health issues annually! The scale of the problem is massive but despite the fact that almost all of us had either experienced mental health issues ourselves or knew someone who had, we agreed that mental health problems are often ‘brushed under the carpet’ and there’s a lot of shame and silence around the issue. 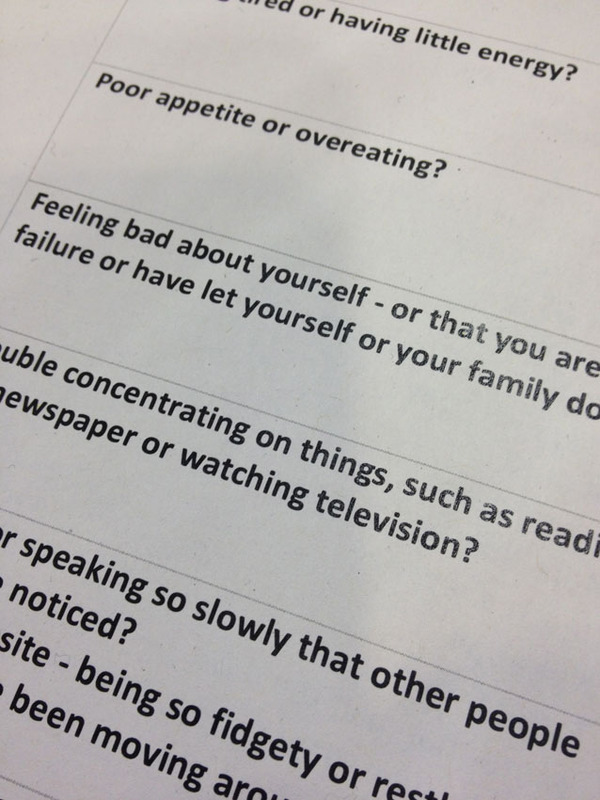 Sarah also brought along patient health questionnaires to demonstrate the symptoms of depression – it’s not all about ‘being sad’ – before moving on to what help is available whether that’s therapy, medication or a combination of the two. We were particularly interested in the concept of mental health first aid, which was a new idea to many of us. Sarah has been trained in this area and offers mental health first aid training in her own workplace. A large focus of the evening was on breaking the silence around mental health issues and we had a lively question session at the end. We rounded off the evening with an exploration of mindfulness, as demonstrated with the cunning use of chocolate. 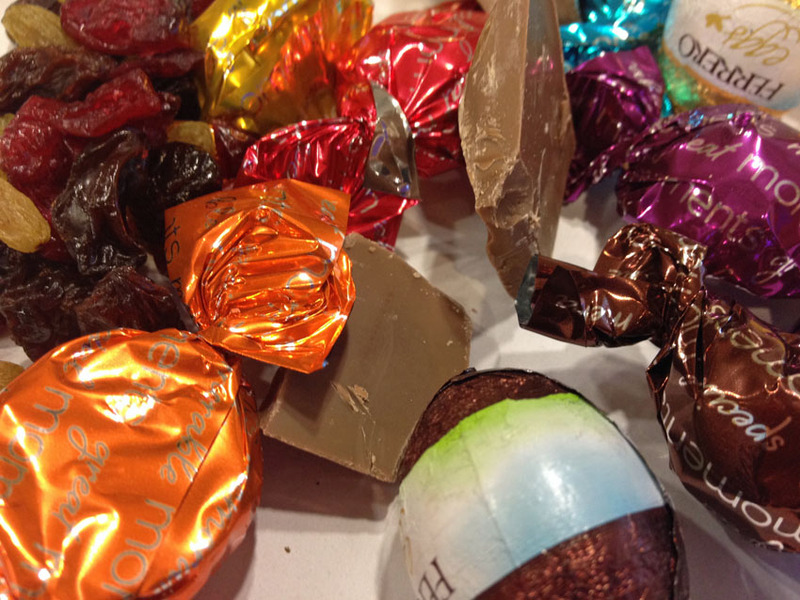 Instead of simply scoffing the chocolate – as many of us would normally do – Sarah talked us through a mindfulness exercise where we first examined our chocolate, thought about how it felt in our hand, smelt it, slowly unwrapped it while listening to the crinkles of the paper and then finally got to taste it. It was chocoholic torture! But many of us did find that we had enjoyed our chocolate more fully because of the anticipation and being completely focused on that moment of tasting. Mindfulness can feel like quite an abstract concept when it’s explained – ‘just be in the moment’, well how on earth do you do that? – so being led through an exercise was very helpful. 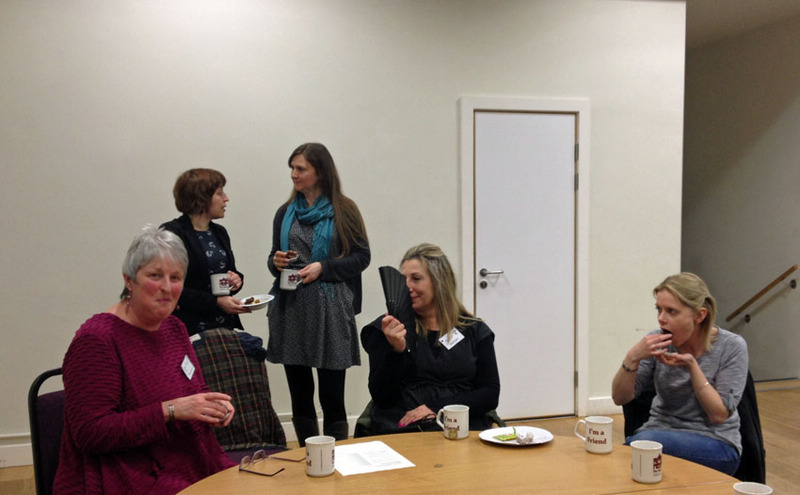 Despite the intense subject matter, there was still time for laughter, tea and cake… and a bit more chocolate. 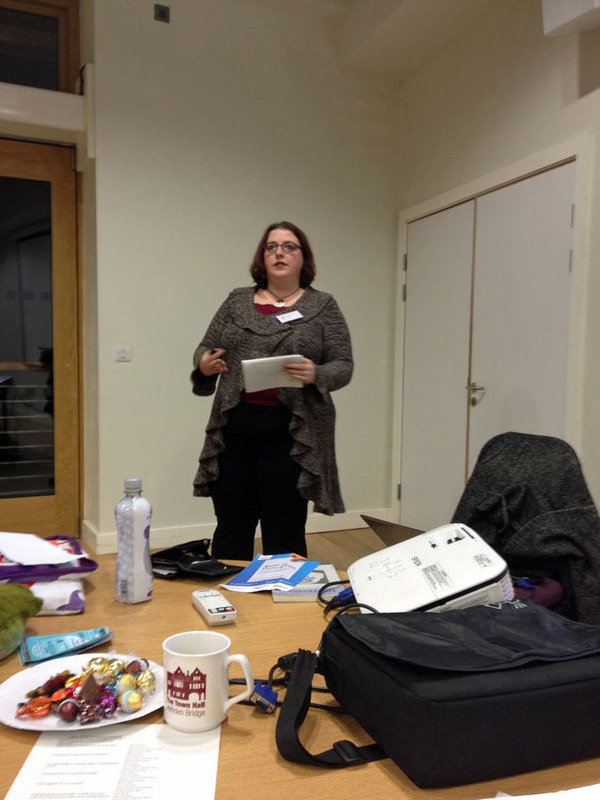 Sarah’s talk led to HBWI members having an interesting and very honest discussion of our own experiences with mental illness on our private Facebook group after the meeting. Our private Facebook page is one of the big benefits of joining HBWI – it’s only available to fully paid up HBWI members and it’s a great place to catch up with what’s going on and make deeper connections with other women in the group. And it’s brilliant to have that safe space to discuss the emotive issues that can sometimes come up in meetings or to debate how to take further action on issues. If you’re interested in joining HBWI and getting the full benefits of membership, including our private Facebook group, please come along to the next meeting and see if it’s for you.